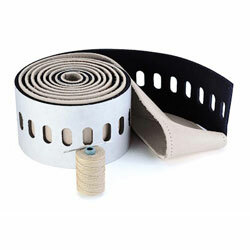 Wheel Diameter: 42" - 60", Leather Width: 4-1/8"
Edson "Comfort Grip" Leather Wheel Covering Kits. Create your own luxury steering wheel with Edson's exclusive "Comfort Grip" Leather Wheel Covering Kit. Give your wheel the ultimate feel! 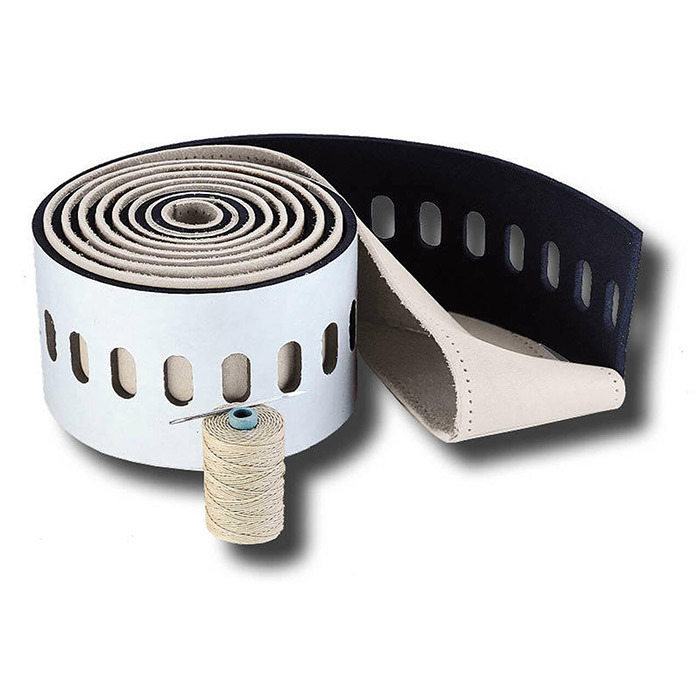 Edson’s do-it-yourself Leather Wheel Covering kits look great and make any wheel softer and warmer to the touch. "Comfort Grip" cushions the wheel and has contoured finger grips on the inside of the wheel rim. Available in Buck Tan or Dove Gray. Edson's Stainless Destroyer Wheels were redesigned in 2001 and now feature 5 or 7 spokes (depending on wheel diameter) as well as a larger 1" wheel rim. Because of this difference, Edson now offers two sizes of Leather Wheel Rim Covers: one for "Oval" 7/8" wheel rims and another for newer "D" shaped 1" wheel rims. Please refer to the drawing below to ensure that you order the correct size for your wheel. Note the circumference difference, which can be measured with a strip of paper or string, and then held along a measuring tape or ruler. Cover will also fit your non-Edson wheel.